Here's it right out of the packaging. Interesting shape isn't it? 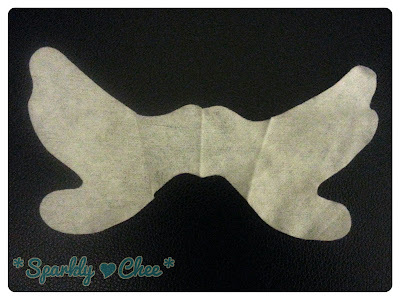 It's shaped like this so it targets the center of your face, the nose and cheeks where most of spots can be found. It doesn't cover my nose fully though. But it does fit pretty nicely overall, with little to no extra spaces, or air bubbles. And here's before and after using the sheet mask for around 20 minutes. This sheet mask is definitely unique! The shape is very interesting, as it targets the center of the face for a 3-dimensional brightening effect. :3 The overall fit is quite nice too as it goes over my nose and on to my cheeks without any kinks. 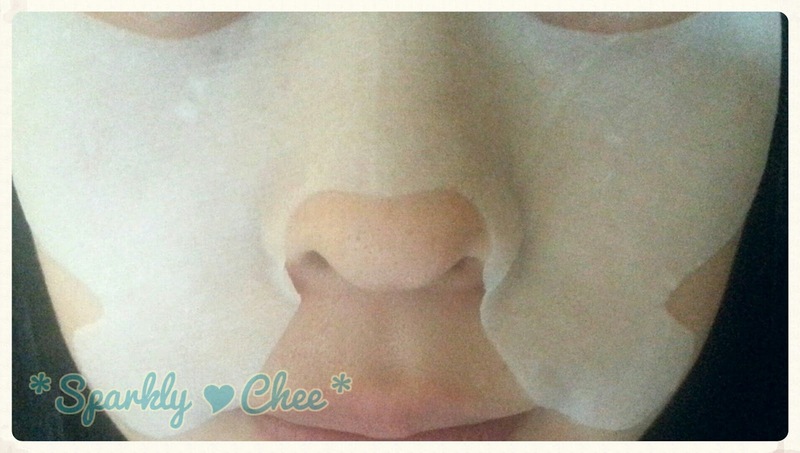 The material, like the other Holika Holika masks, are of good quality, and just the right thickness. The serum is just right too, not drippy or dry, and it doesn't slip down my face either. i left this on for about 20 minutes, but it was still a bit wet when I toke it off. 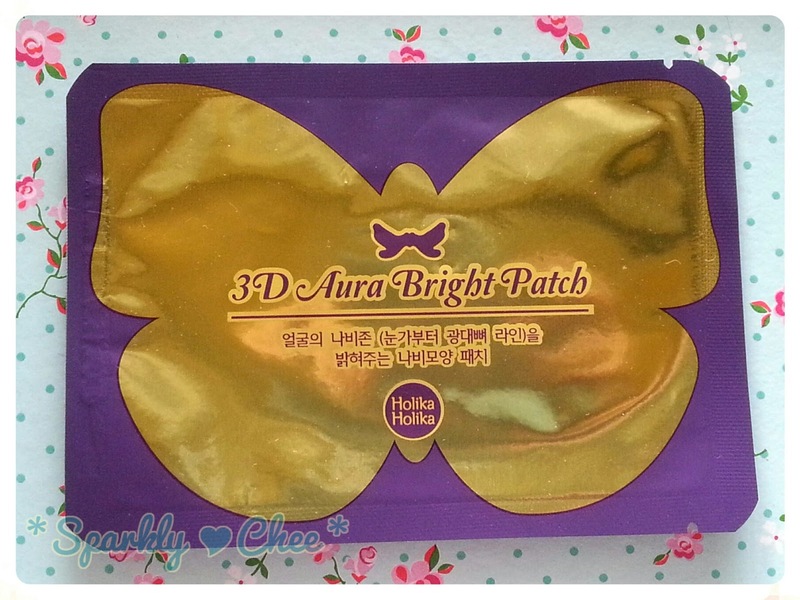 And the scent was a mild sweet floral, much better than the other masks of Holika. Have you tried a sheet mask with an unique cut? wow! ok this is a seriously interesting mask! haha I will have to pick one of these babies up some time soon! 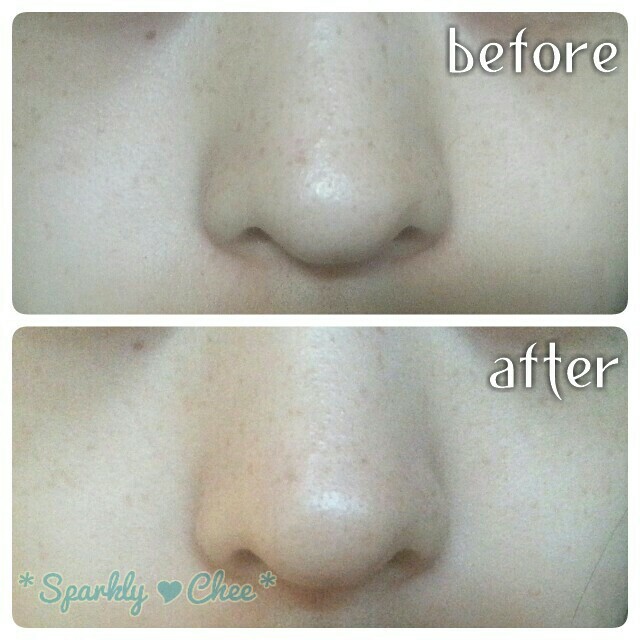 it definitely looks like your freckles reduced in color but do u think the effect is kind of permanent? this product is so unique! but i don't think the result will be permanent? Ooo the shape of this mask is quite interesting and I like! It's great that they finally have a mask that only covers the pores. WoW! I love the shape of the mask and I definitely see some brightening. I think with continual use, you'll see even more benefits. Great review!